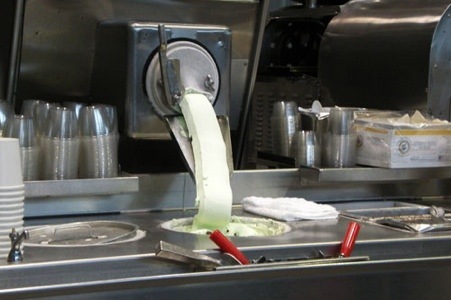 Frozen custard is a totally unique product, very different from ice cream, soft serve, or gelato, and FAR more delicious. 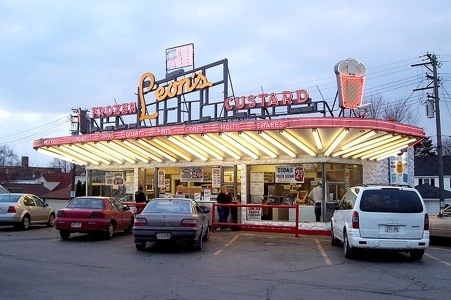 True custard may have originated in Coney Island, but became wildly successful in the Midwest, especially Milwaukee, which is known as the custard capital of the world. Just like Chicagoans can be either Cubs or ‘Sox fans, Milwaukeeans can either be Kopp’s, Leon’s or Gilles fans, but not all three. 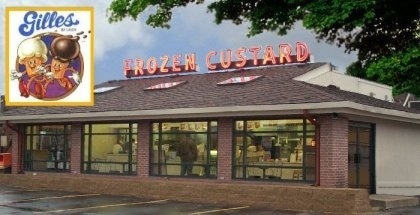 The US FDA regulates what can be called frozen custard. It has to have 10% butterfat (as does ice cream), but must also have 1.4% egg yolk. The real difference though is in how custard is made. Custard is churned differently (more gently), scraped from the chiller barrel differently (sooner), made fresh daily, put into a freezer container (not served right from the machine) and stored at higher temperatures (18-22 F) than ice cream. It has much less air or overrun. All of these factors, the delicate churn, faster scrape, fresher product, higher temperature, less air, and those egg yolks, make Frozen Custard the creamiest most satisfying frozen confection. 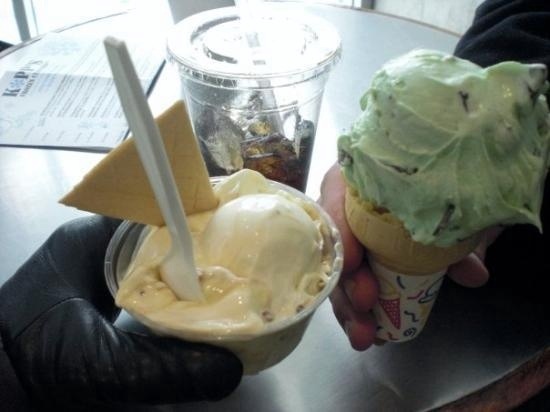 It is always hand-scooped, and can be enjoyed in a cup, cone, shake, malt, mix-in, etc. One you try it, ice cream will seem like just fluffy, sugary ice crystals and soft serve will taste like pudding. On my recent visit to St. Paul, I discovered there was a Culver’s nearby, and raced there after my last meeting, to “beat the heat” (right!). Culver’s isn’t Kopp’s, but still wonderful. I had a single scoop vanilla, and sat for a moment, saying when will I be near real custard again? So I also had a short chocolate malt! Heaven! We’ll have to see if I can still pull out a successful weight loss August! 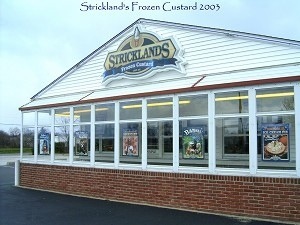 So I get home, relay this story to my work buds, and one of them (Brian, from Chicago), tells me there is real Midwestern frozen custard (albeit Ohio, not Wisconsin), called Strickland’s in IRVINE!! I haven’t tried it yet, but I will soon, and if it is any good, I’m doomed!